It’s imperative that organizations position one of their keys focuses on energy consumption to help them reduce their carbon footprint and lower overall operating costs. Too many businesses aren’t optimizing their energy usage, resulting in poor efficiency, inadequate cooling, and poor power management. These can all have such detrimental effects on the running of the center which knock-on to employees, customers, and costs (not to mention the environmental impact). Therefore, now is the perfect time for businesses to understand how data center infrastructure management (DCIM) in conjunction with Artificial Intelligence (AI), machine learning and analytics can work together to take advantage of collecting, harnessing and understanding all of the data from the facilities and IT stack to help improve the efficiency of the whole technology infrastructure. After all, the first place to start is at the core. DCIM allows a data center to effectively manage its entire network and assets without wearing out shoe leather or counting off spreadsheets lists – a terribly labor-intensive manual way of proceeding in the digital age. This solution automates the management of all assets, resources, processes, and people - supplying a rich set of information for the computer infrastructure. All of this happens in real time, all the time, and is fed back to the data center manager to not only inform them of where money could be saved but also to identify potential failures before they happen. For example, if a rack is becoming overheated, the software can tell where and how the cooling system is failing. Once identified, the fault can be fixed with a limited hassle – and limited client impact. 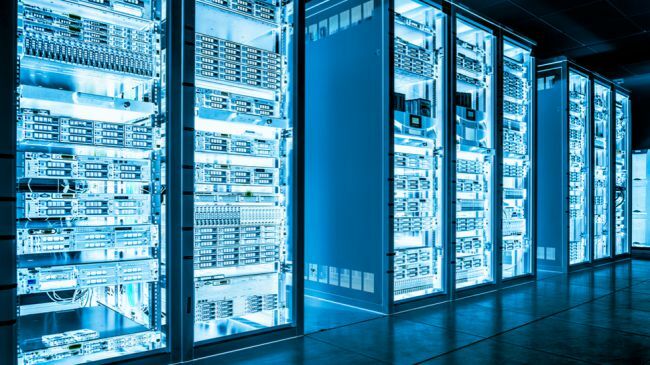 It really has no bounds within the data center as AI and machine learning solutions become part of the DCIM package and add predictive capabilities to the mix, improving efficiency and peak performance rates. One example comes from the team at Alphabet with Google using AI to monitor its data center environment with a reported 40 percent reduction in its cooling bill. With a DCIM solution, you can easily monitor a data center’s current power usage for cooling and heating which allows you to see where in the network energy is being used and wasted. From here, it’ll be clear which racks are hotter or cooler than others and action can be taken to ensure they’re all being kept at a correct, consistent temperature. It’s not just a case of simply turning down the thermostat - as cooling the entire data center will result in a massive volume of air being cooled for no good business reason. 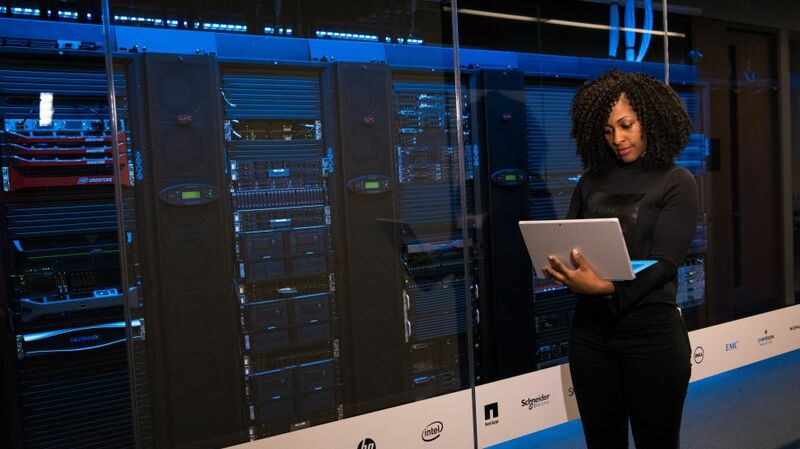 Data center managers need to be strategic and analyze the data a DCIM solution provides to plan out a containment strategy that elevates the business. Hot aisle and cold aisle cooling involve lining up server racks in alternating rows with cold air intakes facing one way and hot air exhausts facing the other. Typically, cold aisles face air conditioner output while the heated exhausts hot aisles face air conditioner return ducts. As well as where the air is blown, what air you’re blowing can make a difference to your energy output - pulling in natural air from outside to cool the data center saves money and reduces your carbon footprint at the same time if you can. It’s no mystery that data centers consume a mighty amount of power, but a DCIM solution allows facility managers to target the data they hold to run the system more efficiently based on hard facts. They can forecast and predict the future state of the data center’s physical capacity based on consumption management. “What if” models forecast the exact capacity impact of data center projects on power as well as cooling, space, and networks. Green energy is becoming bigger and better across all industries as we collectively strive to save our planet’s resources and environment. Many methods used across sectors are being used in data centers such as on-site wind generation and solar panels for generating own energy – which also saves on buying from a supplier! Another great trick is to purchase low power hardware. Given the right workflow, they’re proven to be effective as well as just as effective. That is because using low power hardware is becoming increasingly more important with many manufacturers building high-efficiency servers and other pieces of hardware that use the latest power-efficient technology – saving energy and costs. All the above can help your infrastructure become more financially and environmentally friendly whilst becoming more effective – the prime business goal. Not only will you be doing your bit for the world and the corporate bank balance, but you’ll also appeal to future customers and investors as smart and responsible business.